Registration Limit: 790 spots left. February 22, 2019, 12:00am EST May 31, 2019, 11:59pm EDT $40.00 Race Fee + $3.50 SignUp Fee ? June 1, 2019, 12:00am EDT August 31, 2019, 11:59pm EDT $55	$45.00 Race Fee + $3.50 SignUp Fee ? September 1, 2019, 12:00am EDT October 31, 2019, 11:59pm EDT $55	$50.00 Race Fee + $3.50 SignUp Fee ? November 1, 2019, 12:00am EDT January 12, 2020, 11:59pm EST $55.00 Race Fee + $3.80 SignUp Fee ? Registration Limit: 993 spots left. February 22, 2019, 12:00am EST May 31, 2019, 11:59pm EDT $35.00 Race Fee + $3.50 SignUp Fee ? June 1, 2019, 12:00am EDT August 31, 2019, 11:59pm EDT $45.00 Race Fee + $3.50 SignUp Fee ? Registration Limit: 200 spots left. February 22, 2019, 12:00am EST October 31, 2019, 11:59pm EDT $20.00 Race Fee + $3.00 SignUp Fee ? November 1, 2019, 12:00am EDT January 18, 2020, 11:59pm EST $25.00 Race Fee + $3.00 SignUp Fee ? Registration Limit: 556 spots left. February 22, 2019, 12:00am EST May 31, 2019, 11:59pm EDT $75.00 Race Fee + $5.00 SignUp Fee ? 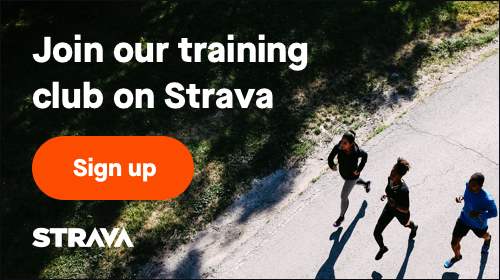 June 1, 2019, 12:00am EDT August 31, 2019, 11:59pm EDT $85.00 Race Fee + $5.60 SignUp Fee ? September 1, 2019, 12:00am EDT October 31, 2019, 11:59pm EDT $95.00 Race Fee + $6.20 SignUp Fee ? November 1, 2019, 12:00am EDT January 12, 2020, 11:59pm EST $105.00 Race Fee + $6.80 SignUp Fee ? Registration Limit: 197 spots left. February 22, 2019, 12:00am EST May 31, 2019, 11:59pm EDT $60.00 Race Fee + $4.10 SignUp Fee ? June 1, 2019, 12:00am EDT August 31, 2019, 11:59pm EDT $65.00 Race Fee + $4.40 SignUp Fee ? September 1, 2019, 12:00am EDT October 31, 2019, 11:59pm EDT $75.00 Race Fee + $5.00 SignUp Fee ? November 1, 2019, 12:00am EDT January 12, 2020, 11:59pm EST $80.00 Race Fee + $5.30 SignUp Fee ? The Challenge : Run the 5k,10k,Half Marathon and the Beach Fun Run and you will have run a marathon over the weekend! Registration Limit: 88 spots left. February 22, 2019, 12:00am EST May 31, 2019, 11:59pm EDT $130.00 Race Fee + $8.30 SignUp Fee ? June 1, 2019, 12:00am EDT August 31, 2019, 11:59pm EDT $150.00 Race Fee + $9.50 SignUp Fee ? September 1, 2019, 12:00am EDT October 31, 2019, 11:59pm EDT $170.00 Race Fee + $10.70 SignUp Fee ? November 1, 2019, 12:00am EDT January 12, 2020, 11:59pm EST $200.00 Race Fee + $12.50 SignUp Fee ? Its an honor system program so it’s up to you to get the run done. Post your virtual run on our Facebook Page (not required). Please note that your virtual results will not be recorded nor will you be eligible for any age group awards. February 22, 2019, 12:00am EST December 31, 2019, 11:59pm EST $25.00 Race Fee + $3.00 SignUp Fee ? February 22, 2019, 8:47am EST December 29, 2019, 11:59pm EST $35.00 Race Fee + $3.50 SignUp Fee ?